If you consider the following and think mainly about what R2-D2 is capable of accomplishing during a yoga class (hot, cold or otherwise) then you will have a pretty clear picture of what I looked like on Saturday. Then out of the blue on the 24th my NS BFF sent me a link to the Open House schedule and once I opened that e-mail, it was a done deal. I *had* to do it! Aren’t best friends just the best for the way they read our minds, dare us to be different and encourage us to step *way* outside of our comfort zones? I think so. So it was decided we were definitely going to a class on Saturday, but then the trouble was deciding which class. I’ll spare you the ridiculousness we went through trying to decide. Honestly. It should not have been that complicated. We were tired last week. Let’s just leave it at that. Suffice it to say that at 8:30 (AM!) on Saturday we were headed to a yoga studio to take in our very first yoga class. It was a seventy-five minute class. Oh, and you should know it was also in a very hot room and we were to be “silent”. I’ll just wait here while that sinks in. Yup. Me. Seventy-five minutes. Silent. There were many, many, many challenges during this, my very first, yoga class, but above all else not talking was the hardest. No giggling. No joking. No witty banter with my NS BFF. No asking questions! Heck, we could barely make eye contact for fear of bursting out in uncontrollable belly laughter. In retrospect, a seventy-five minute hot yoga class in a silent room is probably not the best choice for a newbie. On the other hand, it really was something completely new and since remedial yoga is not a thing, one really must embrace the idea that everyone – no matter how amazing now – once had a first time and also felt awkward and confused. I absolutely loved the energy of the people who are running Moksha Bedford. Our instructor was excellent. I believe that they believe deeply in what they do. You can feel that when you speak with them. I was made to feel comfortable and welcome and that means a lot! There is a tank shirt hanging in the entryway that reads “Practice Makes Practice”. 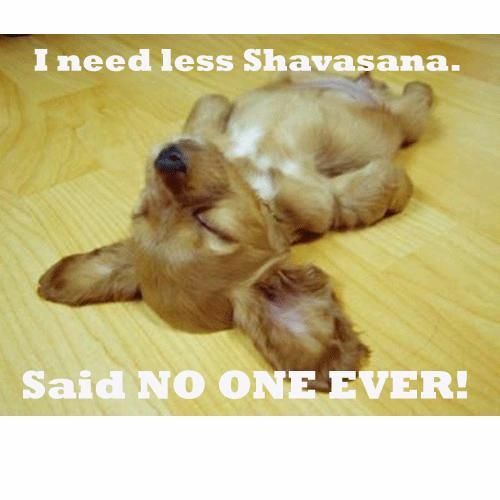 I think this sums up the philosophy of the kind folks at Moksha… perfectly. Balance is tricky at the best of times… take away my orthotics and well.. tip me over and pour me out! All kidding aside, who wouldn’t like to have this kind of power, strength and fitness? Wow! So, have you tried anything new lately? 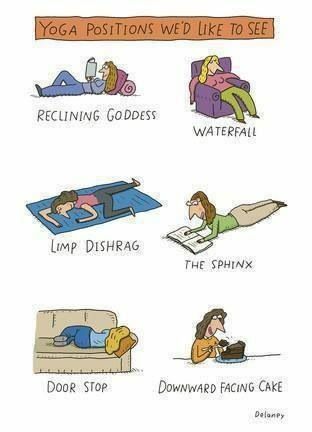 Are you a fan of yoga? Do you practice yoga on a regular basis? What advice would you give to someone about to attend their very first class? Do you like your yoga regular or extra crispy? **Seriously, “Downward Facing Cake” I laughed for far too long. I make no apologies.